Welcome to the page for New Recruits. Your recruiter probably suggested that you visit this page when you were recently enrolled into the Regiment. During your orientation session you should have received The Introductory Handbook for New Members, which is the document below. However, if you did not get a copy, please read the following pages carefully. Knowing all this info will help you understand your responsibilities, and the rules and regulations which you now fall under as a new member of The Canadian Forces. Welcome to the Canadian Forces (CF) Army Reserves. As a new soldier in the Canadian Scottish Regiment (C Scot R), you will have many questions as you discover the new world in the Reserves. Frequently the volume of information is so great and the uniqueness of the unit, military tradition and the size of the organization, all make it difficult for the new recruit to assimilate. To assist you, this handbook provides some of the necessary details to help you understand your new family prior to receiving your soldier skills training. This administrative booklet contains the latest administrative details for dress, deportment, pay and allowances, duties and responsibilities of key appointments within the unit and companies. This booklet should be read to familiarize yourself with the customs, traditions and the expectations that the unit and the CF has of you; and the benefits you can expect as a member of the Canadian Forces. Note: Ignorance is not an acceptable excuse in the military for the disregarding of rules and regulations. Welcome to the Canadian Scottish Regiment (Princess Mary’s). The Regiment is comprised of soldiers living in a wide-ranging and diverse area; from Victoria and Duncan in the south to Campbell River in the north, with some members in the Tofino, and Port Alberni areas. As you become familiar with your peers and supervisors you will be made to feel welcome and part of the “Family”. Because of the geographic spread of the company, much of our training is conducted en masse with all members congregating on weekends in Nanaimo, Victoria, Comox, Ft Lewis - Washington, Kamloops, and other places, allowing us to create effective and challenging training as directed by our commanders. You will benefit most from the training and the camaraderie if you make every effort to attend each parade (as our training sessions are called), which is on every Wednesday night and one weekend a month. I recognize that because of the current economic climate many of our soldiers have more than one part-time job to make ends meet. When there is a conflict between civilian and military duties, we may be able to assist by contacting your employer to advise him or her of the benefits to their company of the training you undertake. Remember that you are paid for all training you attend generally two to four weeks after the event. The company and the unit are assessed annually on its viability including attendance of its soldiers. In particular, the reserve force is undergoing a restructure to make it more efficient and part of the efficiency could result in the need to cut those units in Canada who are unable to fulfill their tasks. It is because of the assessment factors that your attendance and participation is critical to the success of the unit. While it may seem that one soldier doesn’t have much impact, ten soldiers with apathy cause a section and a platoon to be unable to complete its mission. You WILL make a difference. In closing, I again welcome you into the Infantry of the C Scot R, and look forward to your contributions towards the well-being and success of the unit and your peers. Information about unit activities, changes in administration and training schedules are normally provided early in the training year to allow soldiers to organize their affairs to be better able to attend training. Frequently, last minute changes or specific polices are implemented and this information is verbally provided through the OC's Coordination Conference held each Wednesday night, at which the information is disseminated to supervisors and they become responsible for passing information on to their subordinates. This is often called a form of battle procedure, in which orders are provided from higher formations down to the individual soldiers within the section. Another format is the Routine Orders (ROs). ROs are published monthly and posted on each Coy's bulletin board. It is essential that the recruit, like the trained soldier, read the ROs when they appear, since these orders may contain the details of the next training parade, what uniform to wear, and all of the other details which govern a soldier’s life. The Regiment considers that once an item has appeared in the ROs, that all the troops have been issued an order and that the soldier is held responsible for carrying out the order if it applies to him. Saluting is a custom very often misunderstood by civilians. Some of the origins of the salute seem to be as follows: In medieval times, upon meeting, armed men would, as a courtesy, raise their sword hand open, to indicate that they were not going to attack, since they were not holding a weapon. Another theory has it that when knights met they raised their visors with their right hand to place themselves in each other’s power. The present day salute derives from this military courtesy. Whatever the origins of the salute, all soldiers salute their officers to indicate a willingness to carry out orders, and to pay allegiance to the Sovereign whose commission the officer holds. The officer will always return the salute and that he does so in acknowledgement of all that the salute means, and to indicate that the soldier is fit to act as his comrade in arms. Recruits must be aware that the same military courtesies are paid to all officers and NCOs of the Canadian Forces regardless of unit or branch. The best rule of thumb can apply is to address everyone over the rank of warrant officer as "Sir", or "Ma'am". If officers and warrant officers are known by last name to the recruit, they may also be addressed by name as in "Captain Scott" or "Warrant Jenkins". The recruit will address a sergeant by his rank and name, for example "Sergeant Pedersen". The Canadian Scottish Regiment (Princess Mary’s) is an infantry reserve unit in the Land Force Command order of battle with headquarters in Victoria, BC. It is part of the 39 Canadian Brigade Group with headquarters in Vancouver. 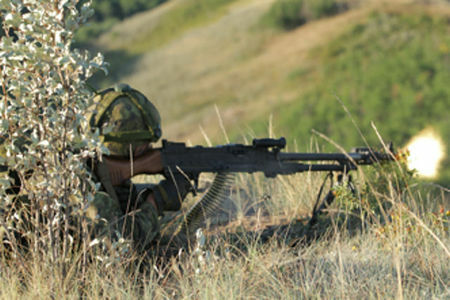 The 39 Brigade is one of three reserve brigades in Land Force Western Area, which is headquartered out of Edmonton, AB. As an infantry unit, our primary role is to CLOSE WITH AND DESTROY THE ENEMY. In simple terms, our job is to seek, engage and destroy the enemy by the means directed by higher headquarters. In order to be able to fulfill our role, we must be able to occupy and defend a locality, and be proficient with all infantry weapons. We must be able to navigate and find the enemy as quickly as possible. This requires courage, physical stamina, and use of correct procedures to ensure our success. All members of the army are required annually to re-qualify in fitness (13km rucksack march), weapons handling, shooting, field craft, battle craft, first aid, and navigation. The unit is organized for efficiency and the ability to launch itself into battle and achieve its mission with a minimum of disruption and confusion. All units in the Canadian Forces (CF) are organized in a similar fashion and it follows therefore that the organization also dictates the chain of command. Obviously the Commanding Officer (CO) cannot direct each individual soldier in his or her daily regimen, and thus the responsibility is delegated to subordinate commanders. Remember, however, that the CO is ultimately responsible for all activities in the unit. Soldiers will follow the chain of command. The purpose of the chain of command is to ensure problems can be solved quickly at the lowest level and prevent unnecessary work for higher supervisors who have considerably complex responsibilities. Additionally, and just as importantly, the member’s supervisor must be aware of and understand how the soldier’s problem affects the ability of his section to be prepared for its mission. The organization and the chain of command are graphically shown on the next page. Refer to the key appointments following the chart to understand the role of the key appointments. In addition, to the Regimental Officers, there exist honorary ranks in the following order: Colonel-in-Chief, Her Royal Highness, Princess Alexandra; the Honorary Colonel, Colonel Talbot. The Canadian Scottish Cadet Battalion consists of the Cadet Corps (between the ages of 12-18) in Victoria, Port Alberni, Nanaimo and Courtenay, and is considered part of the Regimental "Family". Other organizations which give their support to the Regiment are the following: The Woman’s Auxiliary; The Board of Regimental Trustees; The Canadian Scottish Regimental Association; and Associate Members of the Jr. Ranks’, Officer' and Sergeants' Messes. The CO is responsible to the Commander of 39 Brigade for the command, control and administration of the unit. It is his responsibility to ensure that he has sufficient personnel who are properly trained and equipped to perform any task as directed by the Commander, to ensure all equipment issued to the unit is maintained and accounted for, and that the discipline, morale and well-being of the unit is at the highest possible standard. To assist him in these tasks, the CO delegates various matters to unit staff officers who become responsible to the CO for matters assigned. The DCO is responsible to the CO for command and coordination of all administration within the unit, including all unit funds and messes, pay, service support and equipment. When the CO is absent, the DCO acts as the CO. The Adjt is the CO’s personnel staff officer and is responsible for all unit personnel administration including honours and awards, promotions, welfare and well-being matters. He supervises the junior officers for dress and deportment, discipline and customs of the service, and ensures a high standard of dress and deportment for ceremonial occasions. The RSM is responsible to the CO for all matters concerning the welfare, discipline and general conduct of all non-commissioned members (NCM). He supervises unit duties and the duty rosters for all NCMs. He conducts all unit parades, ensures that all cleanliness and sanitation in kitchens, working and sleeping quarters are of a high standard and provides advice to the CO on matters affecting NCOs and NCMs. The Padre is a staff resource for the CO to assist in the maintenance of unit and personnel morale. He is available to soldiers as required for personal problems and while he has some expertise he may direct the soldier towards others who specialize in the problem area for which advise has been sought. He is instrumental in the notification of next of kin in cases of injury or death to unit members. The Padre also conducts religious services for any religion in the field as required. All recognized religions are respected within the CF. The OC is responsible to the CO for the efficient command and control of his company of three platoons and any other attached elements. He must ensure that his soldiers are trained and administered to the CO’s policies. His major role is to deploy, control, site, fight and defend his company based on the type of operation being conducted. The Coy 2IC is responsible to the OC for all administrative matters including supply, and administration of the coy. He is also the understudy to the OC in case of the OC’s absence. The CSM is the senior non-commissioned officer in the coy. He attains his rank through the successful completion of leadership courses and demonstrated leadership capabilities. The CSM is the eyes and ears of the Coy OC and to the soldiers to ensure the troops’ well being and morale. He is an expert at all soldier skills and takes an active part in the training and development of the soldiers in the company. During operations he assists in the distribution of ammunition, in the fire planning process, and controls all casualties and prisoners for dispatch to the rear. The CQMS is responsible to the Coy 2IC for ensuring the accounting and maintenance of all equipment on charge to the company. He’s responsible for the supply of all ammunition, rations, water, petrol products and other required stores to the coy either in garrison or during exercises or operations. The Company Clerk is responsible for administration at the sub-unit level. Typically they handle all the same types of duties as a secretary would in any office setting. The Coy Clk is also here to provide information on matters such as the CF Dental Plan, Public Service Health Care Plan (PSHCP), and SISIP. If you need the assistance of the Coy Clk ensure you go through your chain-of-command first. The Pl Comd is responsible for the training and administration of his platoon to the OC of the coy. The infantry platoon normally consist of 3 sections of 8 personnel, a weapons detachment of 3 and the platoon HQ consisting of the officer, a runner and the Pl 2IC. The Pl Comd is normally the first command role for a junior officer and, like the sect comd’s role, is considered to be one of the most challenging and rewarding command positions in the army for an officer. The Pl 2IC is normally a WO who has considerable experience at the soldier level and numerous leadership courses. He is responsible to the Pl Comd for the efficient administration of the Pl and ensures that all logistical re-supply to the Pl occurs as required. During operations he ensures all casualties and prisoners are reported and moved to the rear. During the attack, he is frequently in command of the weapons detachment. The Sect Comd is the first level supervisor and many will argue that this is the best and most rewarding position in the army at the NCM level. The Sect Comd is responsible for the seven soldiers of his section and ensures their welfare and administration. He develops, ensures and maintains the training and discipline of the section as a team. During operations/exercises he fights his section on to the objective. 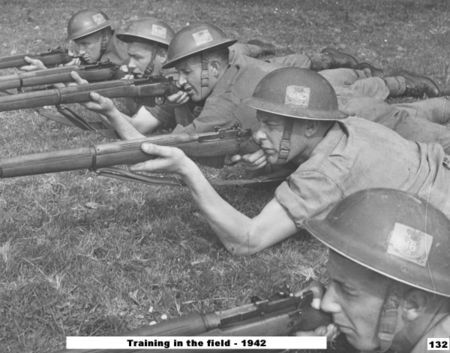 The Rifleman is the level entry position but an integral part of the team. He must be proficient at all weapons handling and shooting, field craft, battle craft and a multitude of other skills. The rifleman is the one who is closest to the enemy and the source of all manpower requirements within the unit. As a rifleman he is assigned as one of the two members of a fire team, two teams make up a group and two groups become a section. There are three basic types of dress in the unit: combat clothing worn daily for the working environment, Service Dress which is the green tunic and kilt with variants upon it based on the solemnity and importance of the occasion, and finally mess dress which is worn only on very special occasions by soldiers. All CF members will present themselves at all times well groomed, their uniforms clean, pressed, lint free, free of loose threads and footwear clean and polished. Dress and deportment has an impact on how your peers, superiors and particularly the public perceive you, the Canadian Scottish Regiment and the Canadian Forces (CF). Always maintain a professional appearance and attitude. Worn both in garrison for day-to-day duty and when deployed to the field. You may only wear any issued uniform on authorized duty. Do not go gallivanting downtown in your military clothing for any reason. Combat Boots: Blackened and clean. - Combat Jacket or Parka may be worn during colder weather. - Combat Rain jacket may be worn if required. The following is a list of items and where they should be packed when you are deployed with the unit. Your section commander will explain how to assemble your rucksack and tac vest/webbing. Other items may be included at your discretion. Keep in mind that you will have to carry it, so light weight and practicality are important. AMMUNITION POUCHES: TWO AMMUNITION MAGAZINES PER POUCH. The following items are optional but recommended (they are not issue items). • Ensure that you label all of your issued and personal kit with your last name and the last three numbers in your Service Number (SN), like: Smith 420. • It is recommended that you purchase some good insoles for your boots. You will walk long distances in them; make them as comfortable as possible. • Always keep practicality in mind. If you pack a lot of extra items that you really don’t need, then you will fatigue sooner. Conversely, “pack light, freeze at night”. • The only person responsible for your kit and it’s upkeep is YOU! Make sure you store it in a safe place so it cannot be stolen! Keep your kit in good repair. If items are in disrepair, exchange them. If you receive an item from first or second line supply that is in poor condition, refuse it, and ask for one that is in good condition. Number 1A: This order of dress is worn during more formal occasions, like Remembrance Day. It is the same as SD with the addition of Orders, Decorations and Medals. Number 2 Ceremonial: This order of dress is, as stated, for ceremonial duties, for inspections and other occasions when ordered. All brass will be polished to a high sheen, white elements of the uniform will be free of any black marks, the tunic kilt and Glengarry will pressed and lint free and shoes will be “spit” shone to a glossy shine. Oxfords: CF issue or Balmoral Brogues polished and scuff free. Mess Dress. This is a variant of the Service Dress with a white dress shirt and a black bow tie. It is only worn during mess functions when authorized by the Commanding Officer. All personnel in uniform shall present themselves well groomed, with footwear cleaned and shined, uniform cleaned and properly pressed. In particular, buttons, fasteners and zippers, shall be kept closed; pockets shall not be bulged. No items such as pens, sunglasses or paper will be visibly extended or protrude from pockets or be suspended from waist belts or pockets. No mirrored sunglasses are allowed. We cannot mix civilian and military attires for any reason. Your uniform is only to be worn to and from scheduled training days. Do not wear your uniform downtown to the bars to try to look cool, nor for Halloween. Hair on the head shall be neatly groomed. It should be tapered trimmed at the back, sides and above the ears to blend in with the hairstyle. It should be no more than 3 inches in length at the longest point; short enough that when headdress is removed no hair touches the ears or fall below the top of the eyebrows. It should not be styled in such a manner as to present an exaggerated or bizarre appearance i.e. shaved into a Mohawk or dyed an unnatural colour such as blue or green. Moustaches are permitted as long as they are neatly groomed. If they are handlebar style they must be waxed and may not protrude beyond the width of the face. No goatees, or Frank Zappas are allowed. The only jewellery that may be worn is a wristwatch, a medical-alert bracelet, service issue ID (Dog) tags, and a maximum of two rings. No visible piercing appliances shall be worn in uniform or while in civilian clothing on DND property. This includes but is not limited to tongue, nose, eyebrow or lip appliances. Hair shall be neatly groomed. If hair is worn short then it must not extend below the bottom of the shirt collar. Longer hair should be kept up in a conservative bun that is at the centre to lower portion of the back of the head. Exaggerated hair colours such as green or bright orange are not permitted and hair should not be styled in an exaggerated manner. It should not interfere with the wearing of headdress. Hair ornaments shall not be worn, and every effort shall be made to ensure that hairpins are as unobtrusive as possible. Make-up should be applied conservatively. This means no brightly coloured eye shadow, extremely heavy eyeliner, false eyelashes, coloured nail polish, and heavy facial make-up. This is the same policy as for the men, except for the allowance that females may wear either gold or silver studs in the centre of the earlobe. The studs may not be any larger than ¼ inch and shall be spherical in shape. The Canadian Forces has a zero tolerance towards the use of illegal drugs by any service member. It is the responsibility of each soldier to ensure they choose their social circle carefully, for even being in a place where others are using drugs can be construed as drug involvement in the eyes of the CF. Civilian standards do not and cannot apply to service members, and by enrolling in the Canadian Forces you are sworn to abide by the Code of Service Discipline when in uniform, and the policy on drugs at all times. For any member who is found guilty of a drug related offence, penalties may range from heavy fines, incarceration and release with a dishonourable discharge. If this occurs, that person will never be able to have a job with any government agency again. Canadian Forces members are governed by Military Law, which is quite different from its civilian counterparts. Any CF member charged and prosecuted with any offence by a civilian court can also be charged and prosecuted under the Military’s Judicial System. If that member gets acquitted in civilian court they can still be found guilty and sentenced under Military Law, (which is the only system in Canada that still has the death penalty). The CF is committed to the principle of equality of all people and the dignity and worth of every human being without discrimination on any prohibited grounds, including race, gender and sexual orientation. All members must always be guided by this principle in their relationships with each other and all other members of society in Canada and overseas. Sexist and racist behaviours are totally incompatible with the military ethics and will not be tolerated. The Canadian Forces also have specific policies that prohibit discrimination, personal or sexual harassment, sexual misconduct, and abuse of authority. This includes improper behaviour by a CF member that is directed towards another individual based on personal characteristics including age, race, colour, ethnicity, religion, gender, sexual orientation or any other physical characteristics or mannerisms. If you witness or experience any forms of harassment, make sure you let someone know. Approach someone in uniform that you feel comfortable talking to. The Padre in this case can be an understanding, non-judgemental and helpful source. Put in a verbal request through your chain of command to see him. If you do not feel comfortable, you do not have to state the reason why you need to see the Padre. DEFINITION: Sexual Harassment is any unwanted attention and personal harassment that has a sexual nature including but not limited to toughing, leering, lascivious remarks and the display of pornographic material. POLICY: No member of the CF shall subject any other member, or any other person with whom the member works, to any type of personal or sexual harassment. The CF has zero tolerance on this matter. Soldiers must inform the Company Orderly Room (OR) and their immediate supervisor as soon as possible if they move. Current information will ensure that all entitlements and recordsare maintained through the unit. Often there are messages that arrive at the unit for various taskings and courses, and many times we need to contact prospective candidates at short notice. If we don’t have your current phone number and address, you may miss out on employment and/or taskings. If your personal info changes, i.e. : you become common law, get married or move out or are separated/divorced, you must inform the company orderly room immediately. You will then be required to update your next of kin forms and your Personal Emergency Notification (PEN) form. In certain circumstances, like NATO tours overseas, you may be entitled to benefits for your dependants oryour significant other. Soldiers, who are charged with a criminal offence by municipal police or the RCMP, must inform the Orderly Room at the earliest opportunity. In many instances, an officer or an NCO will attend any hearings or trials and in addition, National Defence Headquarters must be kept informed because of a possible ministerial or media inquiry, which could be an embarrassment to the CF and the unit. Note that the unit will maintain confidentiality and the adage that soldiers are innocent until proven otherwise. It is always in your own best interest to keep your information current. 1. UER Employment History Record CF 746D – This is a unit ready reference concerning a member’s experience and previous employment. It shows complete periods of employment in specific jobs since enrolment i.e. : section 2IC, Section Commander, etc. 2. UER Miscellaneous Entries CF743B – This is used to maintain a summary of qualifications of a miscellaneous nature, i.e. : weapons classification. SHARP trg etc. 3. Qualification Summary Supplement CF743C – This form is used to maintain a summary of your trade and career qualifications such as BMQ, SQ, BIQ, Machine Gunner, etc. Upon enrolment into the CF, you will note that, as in civilian life, there is a rank structure based on skill, knowledge of your trade and the CF in general, years of service and training. In order to progress beyond the basic level of Private you must demonstrate leadership potential and abilities in order to be selected for junior leadership courses. The following is a short explanation of the courses and time in rank that you must have before you can progress. Note that for each increase in rank, there is an associate pay increase. Upon enrolment into the Canadian Forces as a Non-Commissioned Member (NCM) your rank will be Private (untrained). The first course you must take is the Basic Military Qualification (BMQ) Recruit Course, which is an introduction to the military. On this course, general military knowledge, marching, discipline, personal weapon and other rudimentary skills are taught to all new members of the CF. The course is currently about 30 days in length. You will be under a strenuous fitness program where the aim is to get you up to the standards of the CF, as well as to prepare you for your following courses’ fitness standards. Before you are eligible for promotion to Private (T) you must successfully complete a Soldier Qualification (SQ) and a Basic Infantry Qualification (BIQ) Course. In the unit, most members are loaded onto these courses, which are about 60 days long and taught at the Western Area Training Centre (WATC) in Wainwright, AB. Courses are conducted mostly in the summer when most reservists have time off, although there have been winter courses occasionally. The training focuses specifically in those infantry skills a soldier needs to effectively work as a member of a section, the smallest group in any unit. Further emphasis is placed on weapons skills, field craft, camouflage and concealment, discipline, battle craft, map and compass navigation, first aid, physical conditioning and the ability to work with others in a team. To be promoted to this first level of basic leadership, you must complete a minimum of 1 course at the DP 2B level. Infantry personnel acquire this qualification by taking courses such as Machine Gunner, RECCE, Driver WHEEL, or Basic Communicator. Most of these courses are from two to three weeks in duration. In addition, you also must have two years of creditable time-in-rank (TIR). Your TIR for this promotion is calculated from the day you are enrolled. This is the first level of junior leadership and most MCpls are employed as section commanders or section 2IC’s. In order to qualify for the Jr NCO course, you must have two years TIR and demonstrated leadership potential. All nominees for the course are selected by the chain of command based on merit and potential to succeed. The PLQ Junior Leadership course is ten weeks long and is conducted at WATC. The training focuses on drill, discipline, weapons handling skills, teaching others and the ability to lead others in battle and during stressful situations. This is the first level of senior leadership as a non-commissioned member in the CF. For Infantry personnelthe only requirement for this promotion is a minimum of two years TIR as a MCpl employed as a section commander. It is highly recommended that nomineeshave the Small Arms Instructor Course (2 weeks) be taken as well. For all other trades, there is usually a DP3A course that must be completed before a MCpl is eligible for promotion to Sgt. One of the most important factors for progression in rank is attendance. Attendance on a regular basis demonstrates to your superiors that you are worthy and capable of handling the responsibility of being a leader through your reliability, dedication, being a team player and it also ensures that your skills are kept current and sharp. Reservists do the majority of their training during the summer months. This is to accommodate the majority of its members, who are either students and/or those who are employed in civilian jobs, and can take holidays during the summer. Land Forces Western Area (LFWA HQ) usually starts planning these courses in the fall of the previous year. They estimate how much money it will cost to run courses, where they will be conducted, resources required, how many students will attend, how many staff are required to run the courses and the number of staff needed to support the courses. This means that soldiers have various training or employment opportunities throughout the summer months based on their training and experience. LFWA HQ then issues Course and Tasking briques, usually in the late winter or early spring, to the various Brigades in LFWA. Each Brigade will delegate units to fill a certain number of positions for both tasks and courses. They need units to submit names of prospective candidates to attend courses and qualified people to staff the courses; i.e. instructors and course officers, and they are also looking for qualified pers to work in support jobs, like drivers, clerks and supply technicians. The list of available employment or courses is maintained outside the orderly room for soldiers to pursue at their convenience. The unit policy is that you may request that your name be submitted for taskings by advising your Sect Comd of the position number, the duration of the task, location, and the rank required. You can get all this information from the list. Your Sect Comd will fill out a Nomination and Commitment Letter for Tasking and Courses and it will be forwarded to the Pl Comd who may then recommend the nomination. The form will be submitted through the chain of command to the Quarter Master Senior Instructor (QMSI). The QMSI will then submit your name to Brigade. Note that until you actually receive a LOAD MESSAGE stating that you have been tasked to fill the position, you are NOT guaranteed employment. The same policy is in effect for courses such as BMQ, SQ and BIQ. You may request your name be submitted. For other courses, such as Machine Gunner, Basic Communicator, and other courses at the DP2A level and above, you must be nominated. Your nomination will be placed on a merit list based upon attendance, performance, dress and deportment and potential to succeed. Those soldiers who deserve and can attend will be nominated. Each soldier receives pay from the time he is enrolled for each period of authorized training that he attends. The pay rate is based on two types of pay periods. 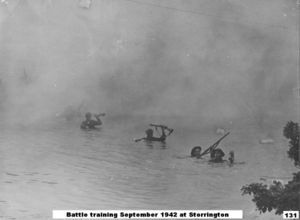 Training under six hours, which entitles the soldier to one half day’s pay, and training over six hours, which entitles the soldier to a full day’s pay. As a reservist, if you are required to train over a meal period, you will be entitled to rations or meal expenses (keep your receipts). When soldiers are posted away for training or duty, they are supplied rations, quarters and reasonable out-of pocket expenses. Pay is based on the member’s rank, training and experience. From the Pte trained level onward, there is an annual pay increment for each year of service up to a maximum increment of four years. It is anticipated that most soldiers will be available to qualify on the next level of training to allow for promotion from that level. Refer back to the training profile table for time and qualification requirements. Additionally each soldier will receive an amount representing holiday pay in the amount of 9% per day, which is calculated quarterly. Pay is forwarded to the member’s bank account electronically on the 15th and 30th of each month, and is normally based on the previous 4 weeks training. When training in the field, soldiers are also entitled to field operating allowance (FOA) in the amount of $17.76 per day payable after living in field conditions for 24 hours. This amount is taxable. It is recommended that you keep track of all days worked with the military on a calendar at home. Best rule is to mark down every day you worked a half-day as “HD” and a full day as “FD”, example: 16 March – ARMY HD. Each month you will get a pay statement on which it will indicate all the days you worked and got paid for. At this time, take the pay statement and compare it to the actual days you marked down on your calendar. If there are any discrepancies, contact your company clerk. Members of the Primary Reserve (P Res)on Class A and/or Class B service, residents in BC who pay the entire (Health Care Plan) monthly premium without assistance from an employer or from any level of government, are entitled to a premium share of up to 50% from the federal government. The government share will be paid in the form of an annual rebate. The amount of the rebate will be pro-rated to reflect the amount of Reserve service rendered in the year and shall not exceed 50% if the premiums levied by the Health Care Planfor the previous year. Members may claim this rebate once annually between 01 Jan and 01 Mar by completing part 1 of the Government Share of Provincial Heath Care Plan Premiums Form and submitting it to the orderly room, supported by a receipt from the province for the full provincial premiums paid in the period covered by the claim. Ask your Coy Clerk for more information. All trained reservists are eligible for the P Res Dental Plan if they have served for a minimum of three months. A dental number will be issued to the soldier and claims may then be submitted. If you have been declared NES by the unit, you are no longer eligible. If you are allowed to resume parading then you must wait the three months again to be eligible. There are many different things that are and are not covered by the dental plan. You are covered annually on routine cleaning, scaling, or basic fillings up to $1500 per year. If you require services other than this, it is best to check with the Coy Clerk. For any services that are recommended by your dentist that will exceed $300.00 you must submit a pre-authorization to Great West Life. It should be in writing but your dentist’s secretary may do it via the phone. Members are expected to travel to and from their home to the local base for duty at their own expense. However, members may be entitled to claim transportation assistance for distances in excess of 32 km return at the current amount of 17 cents per km. Thus those living within 16 km of their place of duty are not eligible for the transportation allowance. Each member who is entitled to TA must submit the proper TA form filled out at the end of each month, and the monies will be deposited in your account or a cheque will be issued. The form shall include recurring information applicable to the place of duty and shall be retained as a supporting document. If you get a ride or carpool you are not entitled to receive TA. 2. Certain expenses only, when disability is not attributable to service and is not a result of the member's misconduct or imprudence and his condition does not permit him to return home. When the member is a full-time student who, while receiving treatment as an outpatient, has resumed attendance at an educational institution, no payment of compensation for disability or related advance shall be made for the period of attendance at the institution without the prior approval of the Minister. All members are highly encouraged to enrol in the Service Income Security Protection (SISIP) plan that provides additional coverage in cases of total disability. The basic coverage is minimal as 80% of the premiums are covered by the DND. Ask your Coy Clerk for more details. Hopefully, the above information has answered most of your questions and has helped you understand where you fit into the big picture with the unit and the CF. If you still have more questions, please don't hesitate to ask any member of our Regimetal Family. We wish you great success at a long and prosperous career within the military . "DEAS GU CATH!"